This chapter concerns the subject of research-developmental activity of biotech spin-offs in Poland with particular reference to their strategy, determinants of their development and determinants of their financial standing. In the chapter, the authors analyse the determinants of biotech spin-offs and start-ups development in Poland in the light of the research commercialisation cooperation on the universities-business line. The literature overview contains the definition of a process for the commercialisation of the results of research and development (R&D) activity and components of companies' business models. 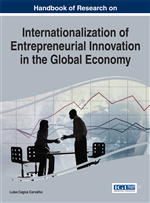 The chapter defines key activities in the development of business models in the context of the commercialisation process and the life cycle of the company, especially at the start up and early stage. Quality-quantitative analysis includes the business models of seven biotechnology spin-offs traded on the alternative market of the Warsaw Stock Exchange, especially the structure of their intellectual capital, R&D expenses in relation to received subsides and grants, third-party shares in start up equity, and the ability to realise the “Go Global” strategy. The research potential in the field of biotechnology and pharmacy in Poland constitutes more than 2,800 scientists specialising in life and medical sciences and working at universities and research institutes, as well as over 8,000 biotechnology students attending 50 higher education institutions where biotechnology is offered as a path of specialisation (93 faculties). More than 100 institutions of science are involved in biotechnology and pharmaceutical R&D projects. Most of the ongoing R&D projects in Poland, including more than 70% of all biotech projects have been initiated with the purpose of developing innovative products (Poland Biotech & Pharma, 2012; GUS, 2013). Poland is ranked 10th worldwide in terms of the number of centres carrying out clinical trials and 1st among the so-called rising markets (1.6% of the global involvement). The Polish market of clinical trials is the largest such market in Central and Eastern Europe. The large number of patients, relatively low operational costs, cost-effective manufacturing, highly skilled workforce, significant know-how in the area of generic medicine advancement, as well as growing experience and high potential in clinical research projects, make Poland an attractive location for clinical research and R&D projects (Go Global! Polish Pharma, 2012). Spin-Off: A new enterprise created by members of the academic community to commercialise and transfer technology which makes up an element of intellectual property, created in the parent academic institution. Business model: A model that defines the way a company delivers customer value, makes customers pay for it and transforms these payments into profits, thereby reflecting the management’s hypothesis of what the customers want, how they want to receive this and how the company can best meet these need, be paid and generate profit. Commercialisation Sensu Largo: A process of commercialisation that addresses a number of activities that need to be taken prior to the sensu stricto commercialisation, including smart patenting, accounting and tax mechanisms, including e.g. correct appraisal of the R&D project value. Start Up Stage: A phase, in which a spin-off company is set up to initiate manufacturing and marketing activities. Commercialisation Sensu Stricto: An execution of one of the three methods of commercialising R&D results includes: selling the results of research and development (R&D) projects, licensing the results of R&D projects and contributing the results of R&D projects to a company, i.e. setting up a spin-off. Intellectual Capital: Knowledge that can be converted into value. Early Stage: A stage of a company’s lifespan when the company is marketing the product and should be able to describe the rationale of how an organization creates, delivers and captures value. Commercialisation Process: A process of acquiring ideas, augmenting them with complementary knowledge, developing and manufacturing saleable goods and selling the goods in a market.